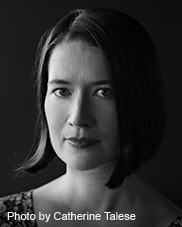 Grace Bonner is the MFA program director of the Writer's Foundry and a Lecturer at St. Joseph's College. She is the author of Round Lake, a poetry collection published by Four Way Books. Her memoir, The Book of Atlantis Black, is forthcoming from Tin House Books in 2020. She is a former Director of the 92Y Unterberg Poetry Center, where she teaches an annual poetry seminar. Her work has appeared in The New Republic, The Paris Review, Parnassus, Poetry Daily, The Brooklyn Quarterly and The Southampton Review. She holds an MFA in creative writing from Columbia University and a BA from Sarah Lawrence College. She is a fellow of the MacDowell Colony, Eliot House and the VCCA, and a mentor in PEN’s Prison Writing Program. David Gates is the author of the novels Jernigan and Preston Falls, and two story collections, The Wonders of the Invisible World and A Hand Reached Down to Guide Me. His stories have appeared in such publications as The New Yorker, the Paris Review, Granta, Esquire, Tin House and GQ, and The Best American Short Stories. He’s published nonfiction in The New Yorker, The New York Times Book Review, The New York Times magazine, Esquire, GQ, Bookforum, Rolling Stone, Tin House, The Virginia Quarterly Review, The Oxford American and The Journal of Country Music, as well as Newsweek, where he was a Senior Writer. He teaches at the University of Montana and in the Bennington Writing Seminars. 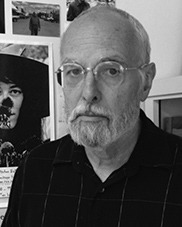 Randall Horton's past honors include the Bea Gonzalez Poetry Award, a National Endowment of the Arts Fellowship in Literature, and most recently GLCA New Writers Award for Creative Nonfiction for Hook: A Memoir (2015), published by Augury Books/ Brooklyn Art Press. His previous work include poetry collections: The Definition of Place (2006), The Lingua France of Ninth Street (2009), both with Main Street Rag and Pitch Dark Anarchy (Triquarterly/Northwestern University Press, 2013). 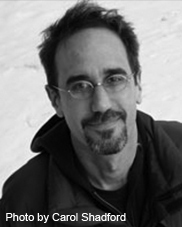 Horton is an Associate Professor of English at the University of New Haven. He is a member of the experimental performance group Heroes Are Gang Leaders which recently received an American Book Award in Oral Literature. Originally from Birmingham, Alabama, he now resides in East Harlem. Lee Clay Johnson is the author of the novel Nitro Mountain (Knopf), which won the 2017 Sue Kaufman Prize for First Fiction from the American Academy of Arts and Letters. His work has appeared in Ploughshares, Lit Hub, the Oxford American, The Common, Appalachian Heritage, Salamander, and the Mississippi Review. He holds a BA from Bennington College and an MFA from the University of Virginia. He grew up around Nashville in a family of bluegrass musicians, and currently lives in New York City. Catherine (Kate) Meehan is a Lecturer in English and the Program Director of ACES, an undergraduate writing program designed for recent immigrant and international scholarship students at St. Joseph’s College. She holds a BA from Georgetown University, MA from Middlebury College and an MFA from The Writer’s Foundry, where she graduated in 2015 with a thesis in poetry. Meehan has received grants to attend the Bread Loaf School of English, and was awarded a place among the 2018 cohort of the Bread Loaf Writer’s Conference. With fifteen years of experience teaching creative writing, literature, and composition on the east and west coasts of the U.S. and the south coast of India, Meehan is a proud recipient of the S. Mary Florence Burns Faculty Award for Teaching Impact and Excellence. She has served as a poetry judge for the PEN America Prison Writing Contest. Meehan's poems have appeared in Barn, Swallow and Spoke 5. Her poetry collection, Kept at Bay, explores bodies of water and the water in our bodies and life along the Great South Bay. Safiya Sinclair is a poet and librettist born and raised in Montego Bay, Jamaica. 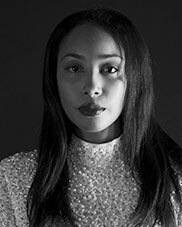 She is the author of Cannibal, winner of a Whiting Writers’ Award, the Addison M. Metcalf Award from the American Academy of Arts and Letters, the OCM Bocas Prize for Caribbean Poetry, and the Prairie Schooner Book Prize in Poetry. Cannibal was selected as one of the American Library Association’s “Notable Books of the Year,” and was a finalist for the PEN Center USA Literary Award, as well as being longlisted for the PEN Open Book Award and the Dylan Thomas Prize. Sinclair’s other honors include a Pushcart Prize, a Ruth Lilly and Dorothy Sargent Rosenberg Fellowship from the Poetry Foundation, fellowships from Yaddo, the Bread Loaf Writers' Conference and the Fine Arts Work Center in Provincetown. Her work has appeared in The New Yorker, Granta, The Nation, Poetry, Kenyon Review, Oxford American, and elsewhere. 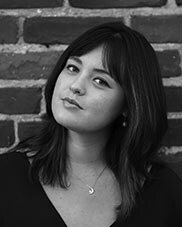 She received her MFA in poetry at the University of Virginia, and is currently a PhD candidate in literature and creative writing at the University of Southern California. Students submit their preferences for thesis advisors in their second year. Thesis advisors work one-on-one with students on their manuscripts and are selected from a pool of core faculty and master lecturers. 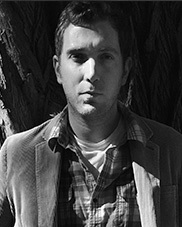 Lee Clay Johnson is the author of the novel Nitro Mountain (Knopf), which won the 2017 Sue Kaufman Prize for First Fiction from the American Academy of Arts and Letters. His work has appeared in Lit Hub, the Oxford American, The Common, Appalachian Heritage, Salamander, and the Mississippi Review. He holds a BA from Bennington College and an MFA from the University of Virginia. He grew up around Nashville in a family of bluegrass musicians, and currently lives in St. Louis and Charlottesville, Virginia. Joel Whitney is a Brooklyn-based writer, the author of Finks: How the CIA Tricked the World's Best Writers and a founder of Guernica: A Magazine of Global Arts & Politics. Finks, his first book, has been called "riveting" (Kirkus), "ingeniously researched..." (Pankaj Mishra in The Guardian's Best of the Year Roundup), “a fascinating mix of political history [and] literary history” (New York Times), “an essential book” (Los Angeles Review of Books) and “a powerful warning” (The New Republic). 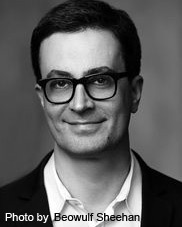 His writing appears in The New York Times, The Daily Beast, The Baffler, The Wall Street Journal, Boston Review, Salon, The Sun Magazine, The San Francisco Chronicle, NPR, World Policy Journal, The New Republic, Dissent, New York Magazine, The Wire (India) and The Village Voice. He is a former features editor at Al Jazeera America and a founder and former editor-in-chief of Guernica, for which he won a 2017 PEN/Nora Magid Award for magazine editing. He co-presents a literary series at Brooklyn Public Library's BPL Presents. Joel has taught English and writing at such universities as Fordham University, Cooper Union and John Jay College. A graduate of Columbia University's School of the Arts/Writing Program, his poetry has appeared in The Paris Review, The Nation, and Agni, and he was awarded a “Discovery”/The Nation Prize in 2003 by the 92nd Street Y and The Nation. Joel's writing has been translated into French, Russian, Romanian and German. With photographer Brett Van Ort, he also co-authored the 2013 TED Talks ebook on landmine eradication, Minescape. 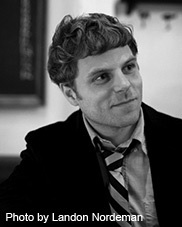 Joel's essays in Dissent and Salon were cited as Notables, respectively, in Best American Essays 2015 and in the Best American Essays 2013. Joel is currently working on a novel. Grace Bonner is the MFA Program Director of the Writer’s Foundry and a Lecturer at St. Joseph’s College. She is a former Director of the 92nd Street Y Unterberg Poetry Center, where she now teaches poetry. She holds an MFA in creative writing from Columbia University and a BA from Sarah Lawrence College. Round Lake, her first collection of poetry, was published by Four Way Books in October 2016. Her poems have appeared in The New Republic, The Paris Review, Parnassus, Poetry Daily, The Southampton Review and in other publications. Excerpts from her memoir, Ghost Tracks, have been published in The Brooklyn Quarterly. She is a MacDowell fellow, and has taught literature and creative writing at the Pierrepont School in Westport, Conn. and in Paros, Greece. She is a mentor in PEN’s Prison Writing Program. N. Jamiyla Chisholm is a Brooklyn native who moonlights as a travel visa collector. 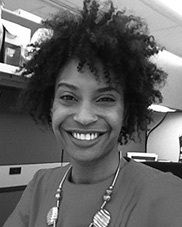 She has worked as a professional journalist for more than ten years, with various print and television media companies, and is currently the communications writer and editor for Barnard College. Jamiyla earned her MAT in teaching from the University of Southern California and an MFA from St. Joseph's College Foundry program. She is working on two long-form projects: A memoir and a novel. 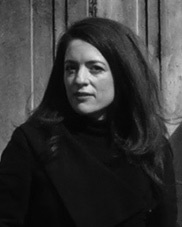 Cathryn Dwyre received a Master of Landscape Architecture degree from the University of Pennsylvania, where she was the Managing Editor of ViaBooks with a volume published by MIT Press entitled Dirt. She completed her undergraduate degree at Colgate University, where she completed a double major in Philosophy and Geology. Early in her career, Dwyre dealt in rare books at Ursus Rare Books, with a specialization in aesthetics, livres d’artistes, garden history and architecture, where she wrote and designed chapbooks and catalogues. Previously, Dwyre worked as a field scientist for the United States Geological Survey under the Department of the Interior, doing geological mapping in the Cascade Mountains. Her current practice pneumastudio, with partner Chris Perry, has been featured in numerous publications and exhibitions, most recently in XXL-XS: New Directions in Ecological Design by Mitchell Joachim and Michael Silver, ACTAR, 2017. Their work was most recently exhibited in the show Tomorrows in Athens, Greece, in May of 2017. Her current work moves between aesthetics and landscape strategy, to writing and design around the topic of the picturesque and ecology, with a general interest in the dialectical exchange between architecture and landscape architectural design. Dwyre is the recipient of the MacDowell Colony fellowship 2013 with her partner in pneumastudio, Chris Perry. 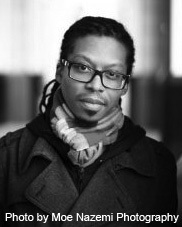 Dwyre currently teaches 4th year studios, 5th year thesis design studios and elective seminars at Pratt Institute School of Architecture in Brooklyn, N.Y. as an Adjunct Associate Professor.